Researchers at UMass Medical School announced yesterday a new technology for manipulating gene expression in human pluripotent stem cells (hPSCs). Hopefully, the discovery will allow researchers to dissect the underlying mechanisms of human stem cell differentiation, leading to new avenues for directing development of cell types. "The ability to control stem cell differentiation holds enormous potential for researchers studying patient-specific disease models and could advance development of new therapeutics for autoimmune diseases such as type 1 diabetes." said Rene Maehr, PhD, assistant professor of molecular medicine, chief author of the study. Using a natural defense system found in bacteria called clustered regularly interspaced short palindromic repeats, or CRISPR for short, researchers have shown it’s possible to adapt this programmable system to deliver transcription effectors that positively or negatively regulate gene expression to specific target genes in human pluripotent stem cells without altering the underlying genome. CRISPR is a kind of adaptive immune system found in archaea and bacteria. It provides resistance to potential invaders, such as plasmids and phages, by recognizing and cleaving foreign genetic elements in a manner similar to how RNAi works in humans and other animals to turn off gene expression. In 2012, it was shown that CRISPR components programmed by RNA guides can deliver effector domains to specific human genes in order to activate or deactivate them. Dr. Maehr and collaborator Scot Wolfe, PhD, associate professor of biochemistry & molecular pharmacology, have developed an RNA-guided transcription effector system using CRISPR to target developmentally relevant genes and thereby alter the differentiation status of hPSCs. This breakthrough provides researchers a new, rapid method for identifying gene networks that govern the development of stem cells into specific, mature cell types. Ultimately, Maehr and colleagues believe this system can be used to turn hPSCs into clinically relevant cell types such as pancreatic beta cells and thymic epithelial cells, an ability that until now was out of reach. "This system now provides a much needed platform for investigating the underlying regulators governing cell differentiation decisions, which can then be used to guide development of patient-specific stem cells into clinically relevant cell types. In the long run, this could open the door to personalized disease models and human stem cell-based therapies." said Maehr, who studies type 1 diabetes and autoimmune disorders. "Coupling targeted gene regulatory tools with pluripotent stem cell technology, as demonstrated in our study, will open new avenues for the development of cell-based therapeutics to directly address the unmet needs of a number of patient populations with complex diseases. 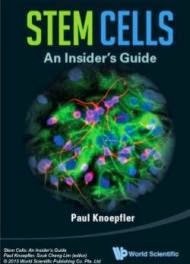 We are encouraged by the potential for the CRISPR-based gene regulatory system to allow for the precise manipulation of gene expression in stem cell populations, which should facilitate the discovery of key regulators of cell differentiation needed to generate cell populations that are absent or defective in specific diseases." said Dr. Wolfe. The study was supported by the National Institutes of Health (NIH), the Helmsley Charitable Trust and the Glass Family Charitable Foundation.